"I love ricotta cheese, and as an Italian, I use it pretty much for everything. 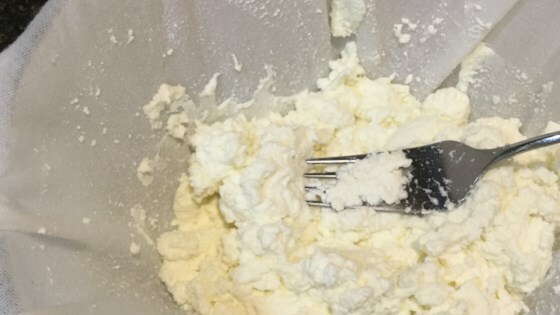 Try this quick and easy recipe to make delicious homemade ricotta cheese with only 4 simple ingredients, and in less than 20 minutes!" Place milk, cream, and vinegar in a saucepan over medium heat and bring to a boil; simmer until curds form, about 2 minutes. Stir in salt and pour mixture through a cheesecloth over a bowl. Let it sit between 5 to 15 minutes, depending on how thick you want your ricotta to be.